Comfortable as a standalone workstation (when used with an IP88CBE) or as a part of the WheatNet-IP network along side our E-6, E-4 and Sideboard, the E-1 is ready for the future. 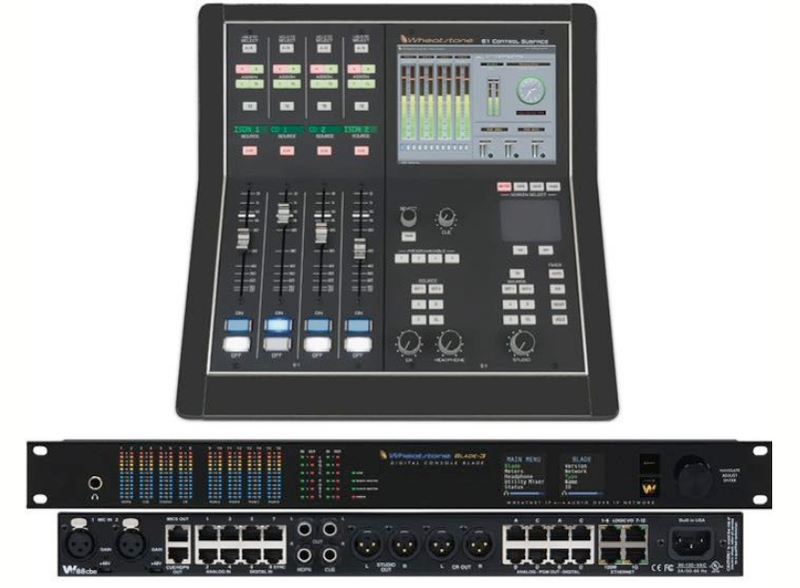 The compact E-1 Control Surface Console and included IP88CBE Console Audio BLADE provide all the networked control, mixing, I/O and DSP needed for small to mid-sized studios at a price comparable to similar sized standalone analog consoles. 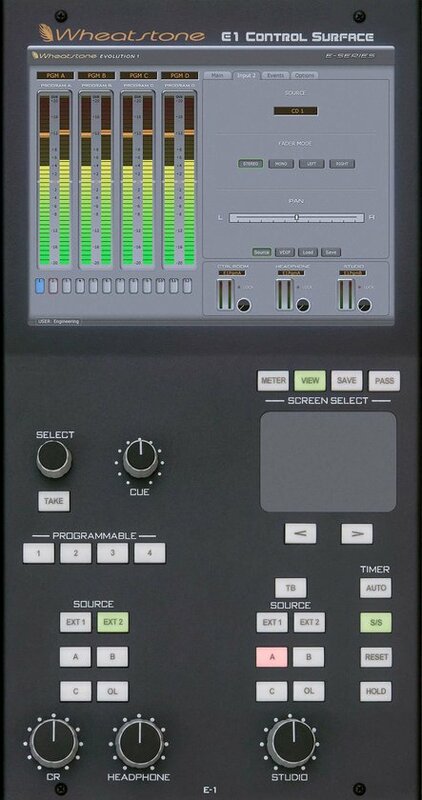 The E-1 features an integrated LCD Monitor for metering and control, a streamlined user interface with password-protected access to complex functions via LCD display and touchpad, and four main mix busses as well as control room and studio monitor outputs with selectable sources from the audio network. Complex mix-minus setups are made simple thanks to per channel mix-minus outputs with selectable reference mix and talkback interrupt.